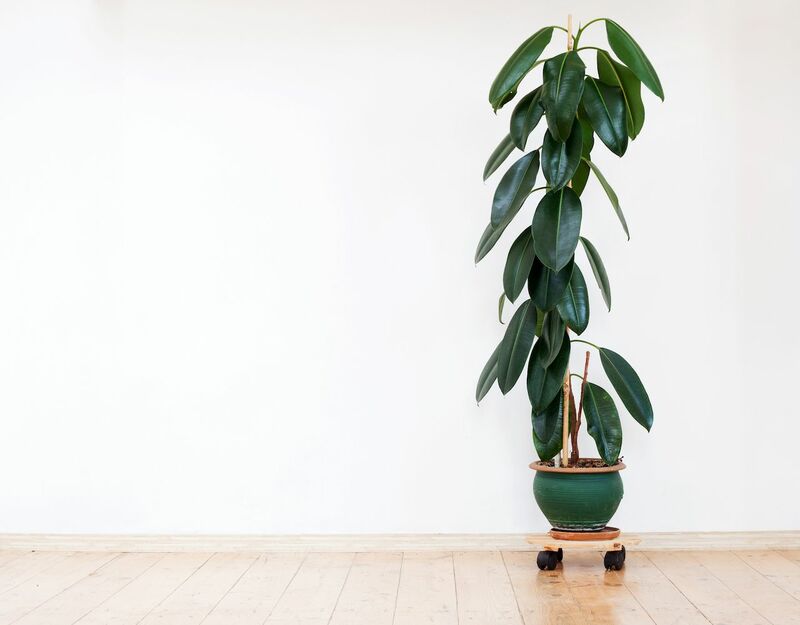 Houseplants have been in the news a lot lately, from being the chosen “children” of millennials to their roles in healthy household experiments. Not only can houseplants purify the air and improve physical health, but they can also improve happiness and mental well-being. 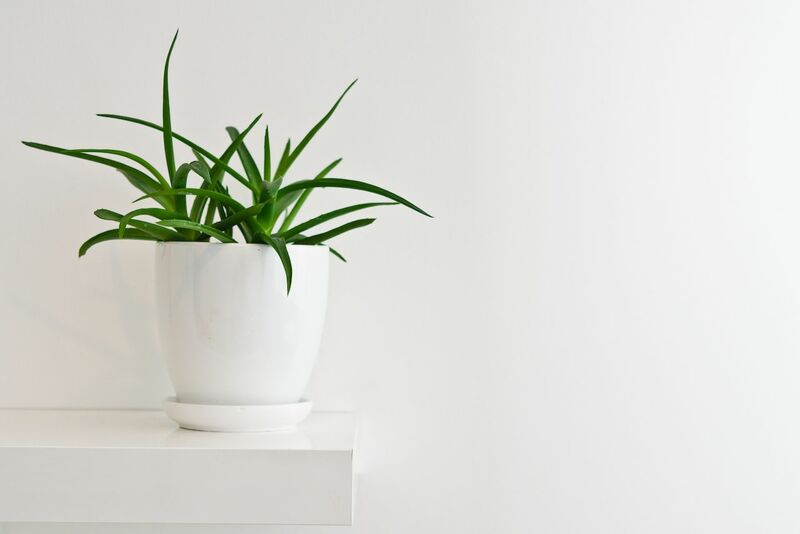 Even NASA, which has studied the power of plants to purify air indoors, recommends having at least one plant per 100 square feet of home. If you can commit to finding the right light and soil for your plants and establishing a routine for them, there are many plants that are good options for people who aren’t home a lot. 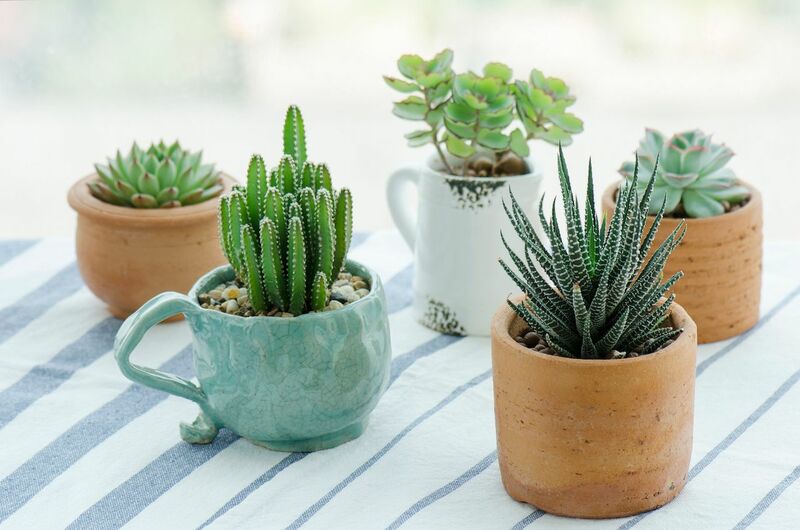 If you would like plants for a happy, healthy home but are concerned with caring for them, here are nine plants you can keep alive even if you travel a lot. Author’s note: The vast majority of houseplants are toxic to pets. If you have pets, be sure to choose the correct plants for your household. These drought-loving succulents native to deserts in the Americas are an obvious place to start. They are hearty, drought-resistant and, provided they are planted in proper sandy soil, can be very low maintenance. Small barrel cactuses can add beauty to a room without taking up too much space but if you are looking for a statement piece, mature cactuses can be procured from reputable nursery growers. Because cactuses grow slow, be prepared to spend a pretty penny on larger specimens. Not restricted to horizontal surfaces, hanging cactuses are also good options, with the golden orchid or rat-tail varieties also being very easy to care for. With the right soil and light, many cactuses can go without water for weeks at a time. Cactuses are good options if you have pets as most feature sharp spines that will deter critters from attempting to play with, or chew on, these plants. Known for the healing gel contained within its leaves, the spiny aloe vera is a beautiful, decorative plant that is very easy to care for. Aloe can grow very large but does not need to be repotted often, and can also be put outdoors if you live in a warm enough climate. Planted in proper sandy soil, it thrives when allowed to dry completely between waterings, which, depending on the aridity of your location, can be every two to three weeks. Jade plants are famously easy keepers, so much so that they often outlive their owners. Though they can grow large, they tolerate being root-bound well and therefore, do not need to be repotted often. Repotting is necessary for those who would like a larger plant, but keeping a jade plant root-bound can keep it small if that’s what you prefer. One of the cool things about these plants is that you can propagate them through their leaves. If one falls off, just stick it back in some dirt and hope it takes root. Water is stored in their thick leaves, so they can go for a time without watering once you have established a schedule. In drier climates, watering might be once a week while in more humid areas, watering might be once a month; the plant will let you know. Heart-leaf philodendron is a favorite houseplant because it grows fast and is nearly impossible to kill. Because they grow so fast, they make for great hanging plants, which is also important if you have pets because philodendrons are poisonous to pets. As with most plants, a watering schedule should be established based on the aridity of your home — in drier locales, plants will benefit from more frequent watering. 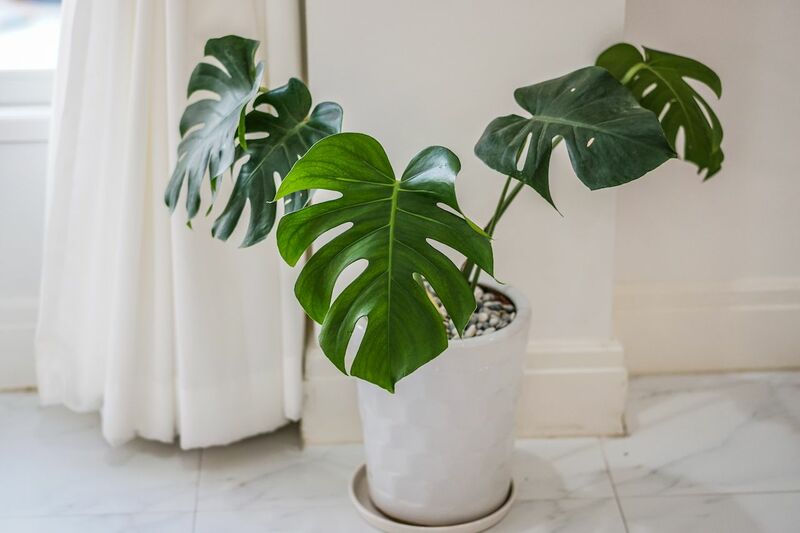 The heart-leaf philodendron is also one of NASA’s “clean air plants,” meaning it removes toxins from the air, specifically formaldehyde, which can be found in home insulation, carpeting, pressed woods, and even the paper towels and cleaners you use in your home. The sansevieria is a succulent that doesn’t mind being pot-bound and thrives on being ignored, making it a perfect choice for travelers. The mother-in-law’s tongue variety typically has long leaves bordered in yellow, while the snake plant variety has dark green bands on its leaves. 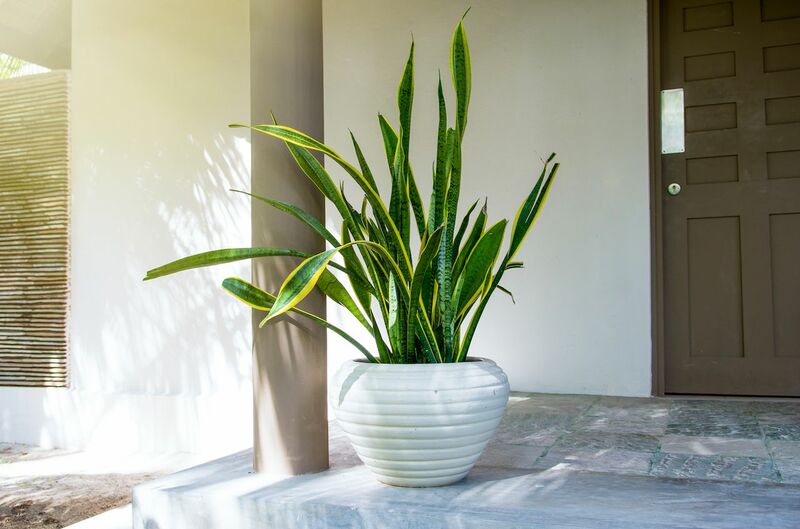 First cultivated in China, the sansevieria has a long folk history of bestowing good luck upon its keepers and is also a NASA-favored plant for its ability to remove both formaldehyde and benzene from the air. It’s a plant that looks pretty, is easy to care for when you’re away for long stretches, and actually helps make your place healthier. 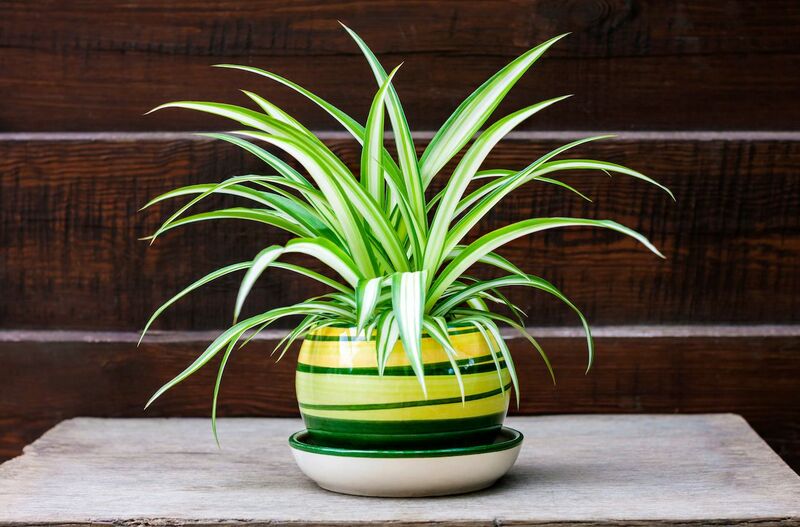 Originating in South Africa, the tough spider plant is extremely easy to grow, care for, and propagate. Spider plants aren’t picky about conditions, though they prefer cooler temperatures and indirect light, and do well when allowed to dry out between waterings. In fact, too much water can cause root-rot in spider plants, which is one reason they can be good plant companions for frequent adventurers. They make great hanging plants as their long “spiderette” pups can be cut and easily propagated. Most easily identified by its braided trunk, the money tree is believed to bring good luck and financial success. If you travel a lot for work, this might just be the plant for you. 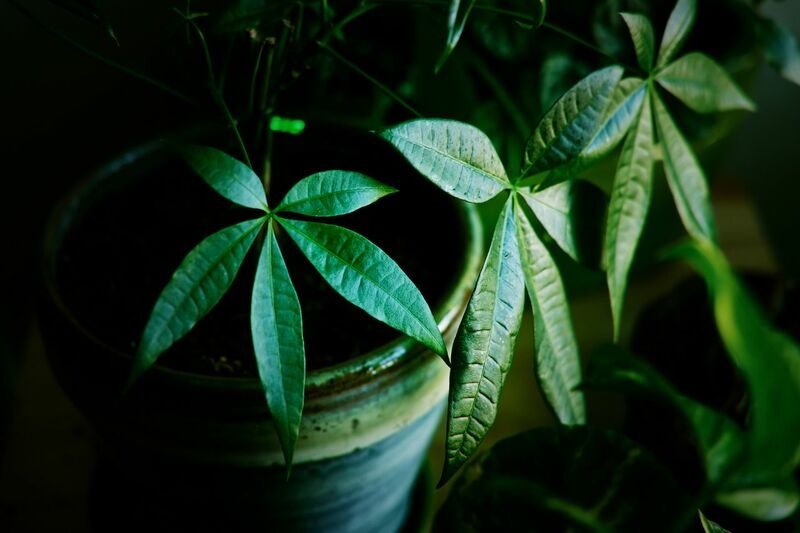 Money trees prefer indirect light, sandy soil, and a well-draining pot. If you can provide these, money trees need regular water but not too much, as they tend to suffer from root rot. One trick to help with humidity but avoid over-watering is to let the soil dry out between waterings but once watered, provide a pebble tray to bring humidity to the plant. Just fill a shallow plant tray with pebbles, add water to halfway cover the pebbles, sit the plant on top, then start packing for your trip. This slow growing plant can handle just about anything: low light, high light, and even extreme temperatures. It’s also drought-tolerant, which makes it a great choice for travelers. 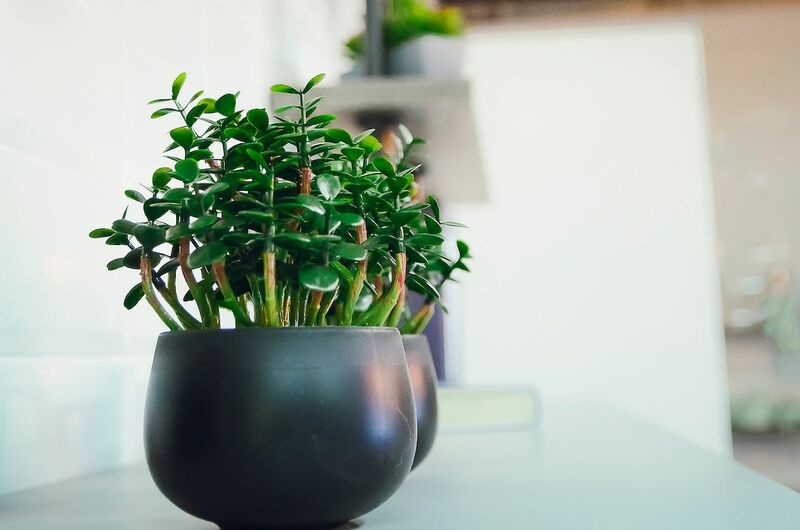 It’s not the most exciting of houseplants but its dark green leaves can add some life and color to any home — even one without you in it for extended periods. 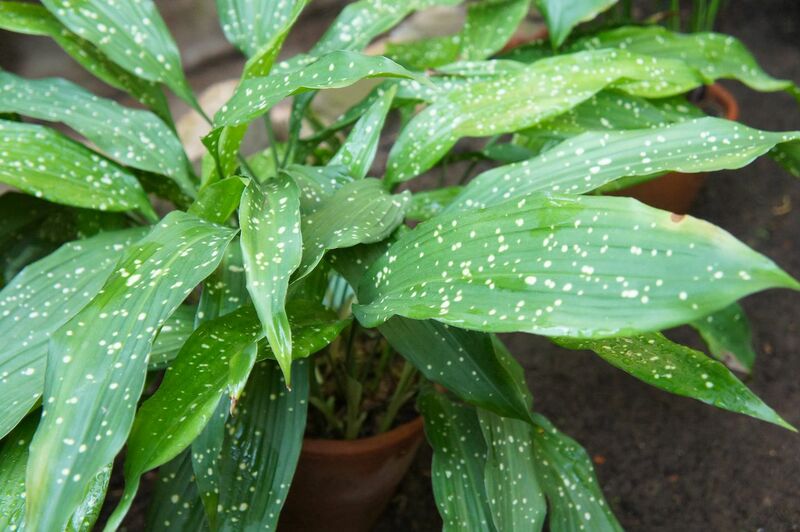 Though the cast-iron plant is a native of the lily family, it is non-toxic to dogs and cats so it isn’t a worry to have out with bored pets. This species of ficus likes to show off — its large leaves change color with the amount of light it receives, more light exposure encourages deep burgundy leaves that revert to green in low-light conditions. They can be kept small in a small pot or allowed to grow into a tree if potted in a larger pot. Rubber plants like to dry out between waterings but do require more attention during the summer growing season, which includes more frequent watering and misting or wiping the large leaves with a damp cloth. If you can commit to one season of intensified care, you’ll have a happily low-maintenance plan during the other three.